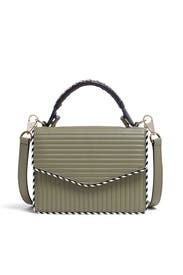 This contemporary clutch by Les Petits Joueurs features a wrapped handle and mini chain piping. 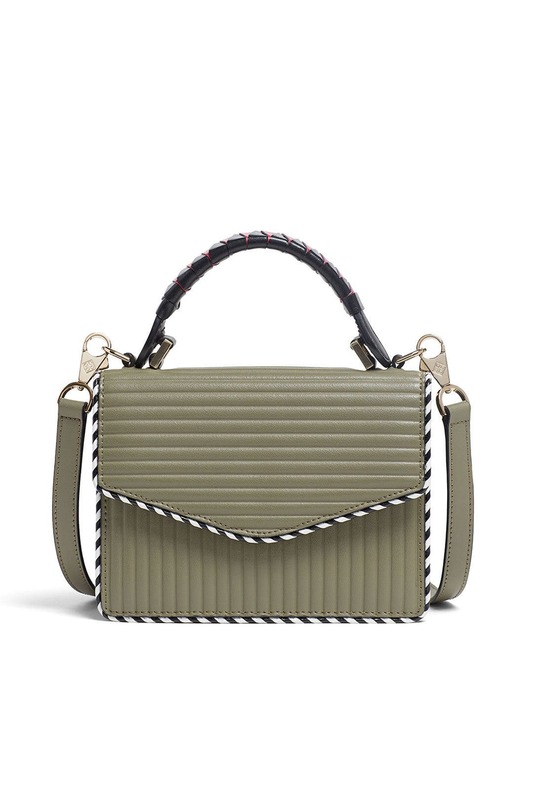 Green padded leather satchel with contrasting gussets. Foldover flap with magnetic clasp. Top handle, shoulder strap, and two interior compartments. 7.5''L X 6.3''H X 3''D.